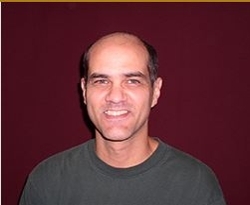 Bob Hicok joined the Purdue faculty as an associate professor in Creative Writing. Elegy Owed (poems). Port Townsend, WA. : Copper Canyon, 2013. 111 pages. Umstellung auf Rehzeit (poems). Berlin: luxbooks.americana, 2013. 125 pages. Frequencies (vol. 1, pp. 3-52). This Clumsy Living (poems). Pittsburgh: The University of Pittsburgh Press, 2007. 112 pages. Insomnia Diary (poems). Pittsburgh: The University of Pittsburgh Press, 2004. 86 pages. Animal Soul (poems). Montpelier, VT: Invisible Cities Press, 2001. 72 pages. Plus Shipping (poems). Rochester, NY: BOA Editions, 1998. 104 pages. The Legend of Light (poems). Madison, WI. : The University of Wisconsin Press, 1995. 79 pages. Elegy Owed (Copper Canyon, 2013). Finalist for the National Book Critics Circle Award, 2014. Elegy Owed (Copper Canyon, 2013). Finalist for the Library of Virginia Award, 2014. “Why We Must Support PBS.” Selected for inclusion in The Pushcart Prize 2015. “Blue Prints.” Selected for inclusion in Best American Poetry, 2014. “Getting By.” Selected for inclusion in The Pushcart Prize 2014. This Clumsy Living translated into German (as Umstellung auf Rehzeit) by Luxbooks, 2013.